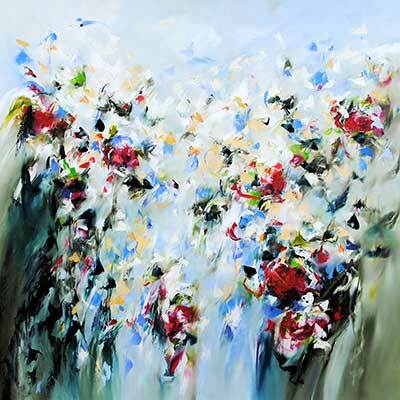 Arnston prefers to work with oils finding them to be a highly responsive medium to the powerful message of nature. 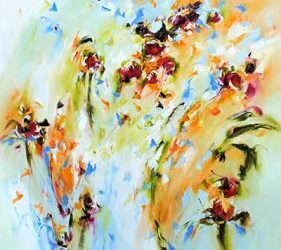 Her still-life paintings take shape in a fluid, wind-like spontaneous style. Paint is applied using a broad-brush approach with subtle colour blending and minute details added through the use of the palate knife. In the early 90’s, Arnston became active in visual literacy and Design education, and was awarded by the Architectural Institute of British Columbia for her work in Architecture for Kids. She authored and piloted courses for students in both elementary and secondary schools, and in teacher education in the field of Architecture, Design and the Built Environment. Arnston’s visual understanding of our physical world is influenced greatly by her architectural background. 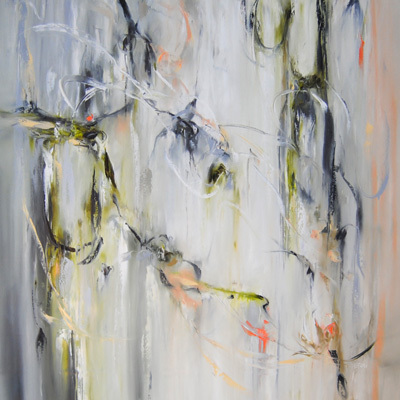 Arnston has built on the abstract impressionist influences of artists like Joan Mitchell and Georgia OKeefe to develop her own style of lyrical abstraction. 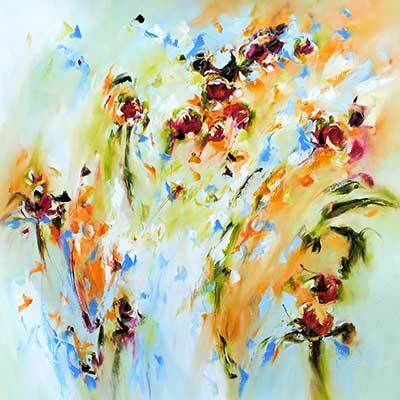 The joy of exploring the natural world inspires all her work. 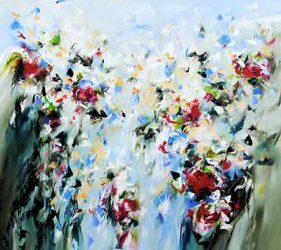 Dramatic images of wind, sea and alpine meadows are rendered with a broad brush, subtle colour blending and painting knives. They invite the viewer to look closer, to see the beauty that she sees every day.